ALLEVEN London was founded by former supermodel, Celia Forner Venturi. The Color Shield has been developed with some of Europe’s top chemists and most effective ingredients and is the first product of its kind. The color shield works to perfect the appearance of the skin while providing protection against sun damage and premature aging. The Color Shield is a multi-tasking skin perfector and works to instantly hide all of the skin’s imperfections, hydrate the skin and boost luminosity to leave you with flawless-looking skin. Whether you’ve got a big event to attend, want to perfect your skin for bikini season or weekend away, then the Color Shield is the perfect product for you. 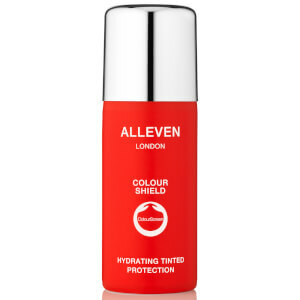 Available in three shades and suitable for all skin types, ALLEVEN London’s Color Shield is perfect for everyone.